"Who is the Prime Minister Fighting Against?" "Prime Minister Abe has set off, lifting the banner of battle for his self-named 'Abenomics dissolution.' In two press conferences he has made reference to resistance forces -- but just who or what he is describing is unclear. Who is/are this/there enemy/enemies upon which he has fastened his gaze?" Let's talk image management here, shall we? If you really want to look so fearful as to be lashing out at butterflies with a sledgehammer, have your walking/talking id -- a.k.a., Hagiuda Ko'ichi -- write a letter to all the main commercial television networks asking/warning them they have to be fair, non-partisan and balanced (Fox News should sue) in their reporting on the election. 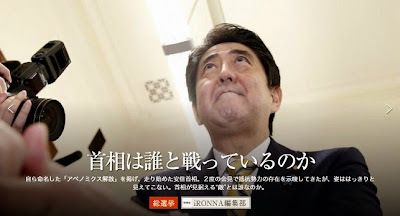 While "certain elements of the media are congenitally against us" and "the misbehavior of some media outlets have severely wounded Japan" are standard applause lines of revisionist wingery, this latest outing by Team Abe is a saunter down a very dark, narrow and boggy path. Lead editorials today in The Asahi Shimbun (no particular URL yet but try this) and the Tokyo Shimbun (Link - J) denounced the Hagiuda letter as a threat to press freedom. For the Asahi Shimbun, the threat is palpable: the Hagiuda letter alludes to the controversy over TV Asahi (The Asahi Shimbun is a main shareholder) reporting in the early 1990s that led members of the Liberal Democratic Party to threaten a revocation of TV Asahi's broadcast license. As for the above picture with its semi-rhetorical questions pasted on it about where the prime minister thinks his enemies are, it comes from the Sankei Shimbun's online editorial section. When not even the Sankei Shimbun, a publication which specializes in the identification of enemies, both real and imagined, can guess who you think your enemies are, Mr. Abe, you have a problem. Then again, when aides quip that your best friends in international politics are Vladimir Putin and Taycip Erdogan and you carry out fond Twitter mutual affection fests with Narendra Modi (Link), perhaps you just don't care. So the father of the current Shinto Seiji Renmei chair was the chief priest at Yasukuni. I had no idea. Kind of undermines the excuse sampai apologists always toss out that Yasukuni is an independent religious corporation unconnected to the national management organizations for the shrines. I actually watch the Nichiyo Toron debate described in the last link. I spent the whole time cringing at the responses from the various policy chairs. Liberal Democratic Party Policy Research Council Chair Inada Tomomi's tone, pitch and speed were so over the top that opposition panelists wavered between shaking their heads in amazement and breaking out in laughter. As her counterparts from the main opposition parties were men, however, they kept their reactions in check, not wishing to appear to be sexist pigs. 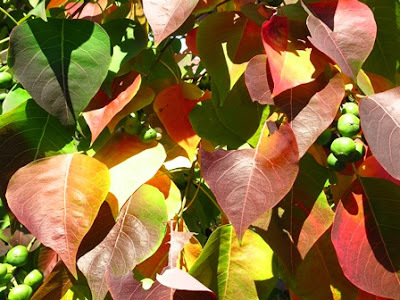 Dr. Mireya Solis writes a strong essay on two main competing free trade areas for the Asia-Pacific. The final attempt to rouse Americans from their torpor on the Trans Pacific Partnership seems misplaced, though: if China is interested in free trade and pushes its agenda in its region, where’s the negative? The U.S. should not have to be and should not be on the forefront of everything. Yesterday Prime Minister Abe Shinzo dissolved the Diet and called an election of the House of Representatives. Constitutionally, the Emperor dissolved the Diet upon receiving the request of the full Cabinet. Realistically, this was one man's decision, that man being Prime Minister Abe. 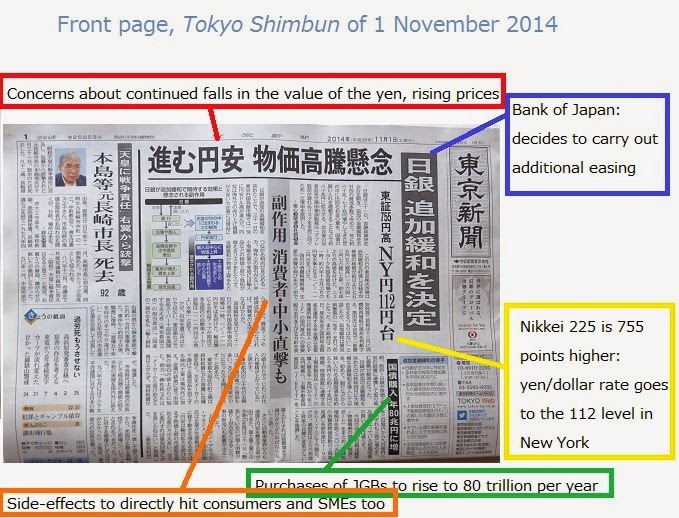 "Will Abenomics go forward? Will it come to a complete stop? That is what this election is asking. Are our economic policies mistaken? Are they correct? Is there some other choice? That is what I wish to ask the voters." Abe's adamant attachment of a name to dissolution is not an idle exercise, however. First, it satisfies the cultural imperative for a label explaining the cause of the dissolution, differentiating the current dissolution from its predecessors. There has been a lively, mostly sarcastic, debate in the press and online over what this particular dissolution should be called. Candidates have included the "Life Extension Program Dissolution," the "'The Reason for Dissolution is Classified' Dissolution,"the "Moron's Dissolution" and "I've Got Personal Problems Dissolution." Second, and more importantly, Abe has probably succeeded in focusing the purported debate in this election on his economic program. One has to say "purported" because there cannot be a real debate on Abenomics, not in the existing political environment. If Abe wanted a real debate, he would want a real debating partner. However, none of the potential main opponents in this election -- the Democratic Party of Japan, the Japan Innovation Party or the Communists -- have the full set of weapons necessary to take the fight to Abe and the ruling Liberal Democratic Party/Komeito coalition. 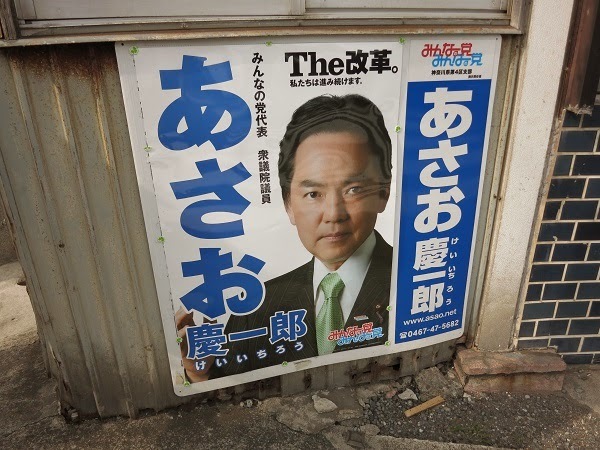 The DPJ has the national organization and the gravitas but has a terrible leader, no alternative economic program and an insufficient number of candidates running. 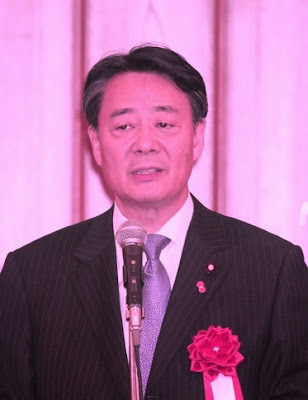 The JIP has two good leaders in Hashimoto Toru and Eda Kenji and is a regional power but is still seen as a lightweight organization nationally. It also will be running too few candidates. The Communists have the candidates, the alternative plan and the national reach. No one could ever accuse them, however, of being seriousness in terms of policy. Abe has furthermore stacked the deck in setting his pass/fail level in the number of seats at an absurdly low level. The ruling coalition had 326 of 480 seats in the just dissolved House of Representatives -- a greater than two-thirds majority. However, in his speech announcing his dissolution plan, Abe said he would consider the coalition's holding on to a majority in the new slimmed-down 475 member Diet -- i.e., 238 seats -- as his victory line. The thought that a prime minister could voluntarily call an election, see 88 of his allies go down to defeat, then blithely go on about his business is absurd. 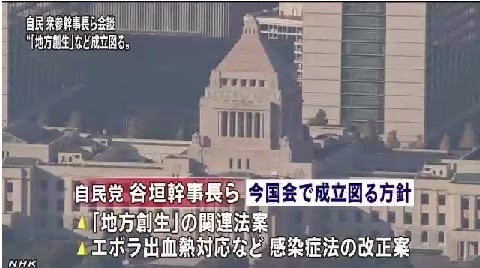 The secretary-generals of the ruling parties, meeting after Abe's declaration, came up with a figure of 270 seats as the pass/fail line -- four more than the crucial 266 seats required to have dictatorial control over all the committees of the House of Representatives. The chances of the ruling coalition losing 88 seats is unimaginable. That it will lose even 56 requires a vivid imagination. What Abe, the ruling coalition and Abenomics are going to is not a real test. The test is on a fictional subject of the prime minister's choosing; it is (essentially) impossible to fail. In Japanese, this should be the 模擬試験解散　(mogi shiken kaisan): the Mock Test Dissolution. I expect Abe-san to pass it. It pains me to say it. It pains you to hear it. 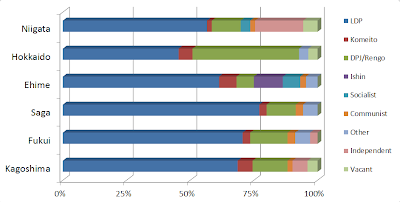 Results from the first post-dissolution announcement public opinion polls are out. They are from Kyodo News, the newswire jointly owned by the nation's local newspapers -- which trends hard anti-Abe -- and The Asahi Shimbun, which despite the reputation of its editors being congenitally and irrationally anti-Abe, trends in the middle of the pack, at least in terms of its public polling results. The results are pretty supportive of a comfortable LDP/Komeito victory in the election. Winning even only a third of the 180 proportional seats puts the coalition on course for well over the 266 they need for "total control" of the Diet, the number of seats where ruling coalitions members chair all committees and the ruling coalition enjoys 50%+1 member voting majorities in all committees. For the Democratic Party of Japan, the numbers are unimpressive. In pre-2009 days, the DPJ typically received twice the percentage of the final vote as was indicated in pre-vote polling. Assuming that this trend reemerges, the DPJ still polls well behind the LDP -- which means while it may claw back some seats from its disastrous 2012 showing, they will not be taken from the ruling coalition. Instead they will be taken from the JIP, Life and Next Generation. The latter two parties, the remnant vanity projects of the two tired anachronisms Ishihara Shintaro and Ozawa Ichiro, will mercifully wink out of existence. Kaieda (pictured above) seems a nice, educated guy. However, and there is no kind way of putting this, he has a black tongue. Anything he talks about turns to dirt. Just hearing two sentences from him on matters of policy sends one scrambling for the mute button. 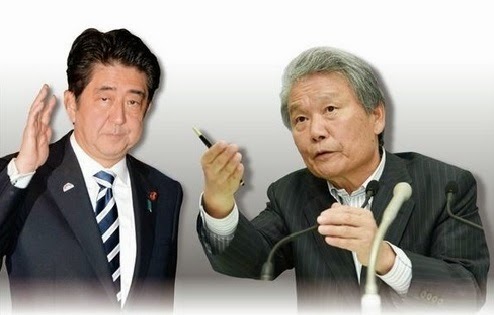 Demoralized DPJ members and conniving conservatives within the party lofted Kaieda into the leadership position for one purpose only: to resign in remorse after the party's pre-determined poor showing in the 2013 House of Councillors. 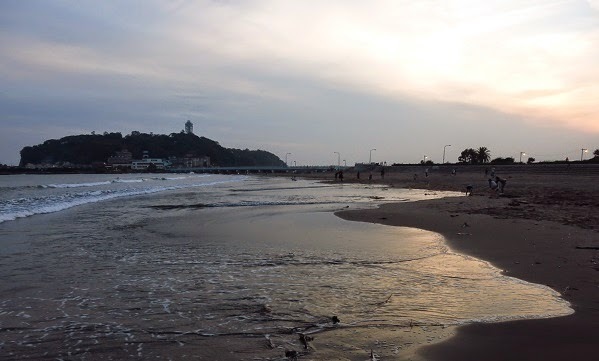 In a testament to his political deafness Kaieda failed at failing, refusing to fall upon his sword at the appointed moment, insisting peculiarly that his having been elected leader means he is a leader. If Kaieda remains the face and voice of the DPJ in this election, the party will fail to capitalize on the Abe administration's troubles. The DPJ cannot talk about the crushing of the economy from consumption tax rise because a DPJ government proposed and passed the legislation mandating the rise. The DPJ cannot dismiss Abenomics outright because it has no alternative plan other than managed, precipitous decline. 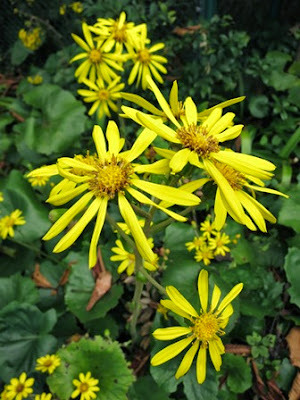 What the DPJ can and should do is ask Mr. Abe and the ruling coalition how, after having realized a huge transfer of wealth from the common citizens to the corporate sector* through the devaluation of the yen, the ruling coalition intends to get that money back. * And not the whole corporate sector either. 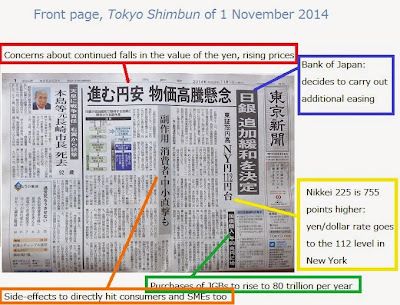 The Tokyo Shimbun reported yesterday in a front page story that in the mid-term reporting season of the 1381 companies listed in the Tokyo Stock Exchange First Section 50.5% of the profits declared came from the reporting of just 30 companies. Making matters worse, with all the help that Abenomics is supposed giving the corporates, 122 companies of the 1381 in the First Section booked losses. The Good, The Bad And The Whoa Where Did That Come From? T'is too bad because the Cabinet really has a Good Abe / Bad Abe problem...though it is probably not the one that Mr. Fukushima will speak/will have spoken about, the one which ticks off the South Koreans and bolsters the Beijing regime through Yasukuni sampai and undermining of the legitimacy of the Kono Statement. 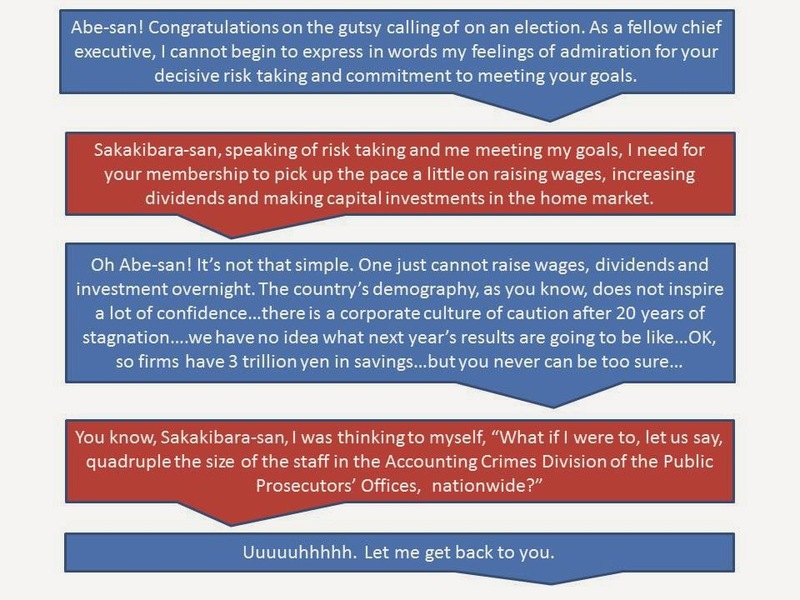 The Bad Abe posts trash talk on his Facebook page, bounces out of his seat to spit out what he thinks is his right in the Diet and, when, faced with reporters, does not say, "Ladies and gentlemen, I know you need material but I have nothing intelligent to say" but instead tries to be clever. The Bad Abe was on full display at his press availability in Brisbane, Australia, talking total tactical mendacity as regards vital issues. 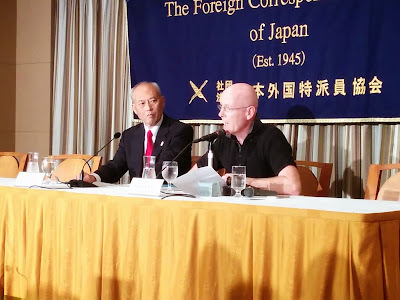 His complete nonsense on the Democratic Party of Japan's acceptance of the raising of the tax has roused even the ill and now mostly philosophical Haraguchi Kazuhiro (Link - J). His coy "I have not once said anything about dissolving the Diet" -- when he was is fully aware that back home the Diet and the ministries are in pre-campaign lockdown -- was unworthy of an adult human. 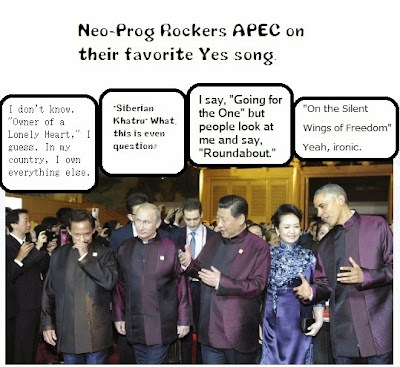 The Bad Abe is petulant, vindictive, adolescent and lacking in concern regarding the superficiality of his knowledge. Abe supporters should hope when the man walks up to the microphone tonight to make the announcement of his plans as regards a Diet dissolution and a delay in the scheduled raising of the consumption tax, that Suga Yoshihide or someone Abe trusts has taken him aside prior and told him, "Abe-san, you do realize, this is for real?" - Paul Krugman on the apparent decision to delay the October 2015 imposition of a 10% consumption tax rate ((Link). He clarifies that in a deflationary world, an independent monetary authority can be a curse. Yes, I too find off-putting Dr. Schulz's characterizations of those who are not with the program as being narrow-minded, short-term fixated and demanding of a large-scale story the media can mediate. - Tobias Harris on the reality Abe Shinzo does not want to face -- that the greatest menaces to the success of Abenomics are the executives of Japan's corporations (a.k.a. his New Best Friends Forever) and their deflation-honed parsimonious ways (Link). Key here is the understanding that these are not evil individuals (well, some of them are, but for reasons other than parsimony). It is just that their accumulated virtues of thrift become the black hole into which the nation's generate surplus disappears, never to be seen again. The government of Japan has an obligation to yank some of the 300 trillion yen in inert savings back into the economy in the same way the government has an obligation to step in with increased spending when private consumption falters. The all-important-until-last-week-when-the-Diet-dissolution-story-stomped-over-everything-else preliminary third quarter GDP figures are today. Prime Minister Abe Shinzo is rushing back from the G20 in Brisbane, Australia to meet them. 1) The now certain dissolution of the Diet (Link) and the delay in the raising of the consumption tax are two different initiatives. Prime Minister Abe Shinzo has wanted a dissolution for about three weeks now. Chief Cabinet Secretary Suga, or persons thinking and feeling on his behalf like Yamamoto Kozo, has desired the delay for a bit longer. 2) Abe wants the dissolution because he reshuffled the Cabinet only two months ago and one cannot reshuffle a reshuffle. Dissolution is the only way to rid himself of the cast of clowns who jumped aboard the Abe administration bus in September. 3) Suga and/or folks like him want the delay because the second quarter GDP and retail sales figures seem to have confirmed the warnings of last fall from Honda Etsuro and Hamada Ko’ichi that April's rise in the consumption tax would severely dampen the economy's animal spirits. Big business, bloated non-profit and government establishments (a.k.a., The Establishment) were of the (seemingly mistaken) opinion the economy was strong enough to take the hit. Since fundamentally it is idiotic to run two mutually contradictory economic programs at once, in this case QQE and large fiscal outlays for growth and increases in the consumption tax for fiscal consolidation, going full out for growth seems the better idea, at least in the short term. 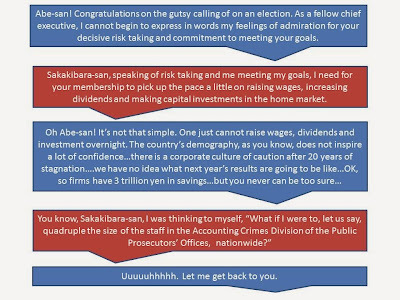 4) Rather than fess up to having been fooled not just once but twice, the Abe/Suga duarchy dawdled on the framing of their respective projects, this even after Shukan Bunshun blew the lid off of the duarchy's plans ten days ago (many thanks to Dan Harada for pointing out the article). Not even the Yomiuri Shimbun, the cheerleader for Team Abe, had a plausible set of explanations for a dissolution (check out paragraph 8 of the Yomiuri editorial -- sadly the English translation does not do the original justice) to publish/leak. This left the field open for practitioners of the arts of tactical mendacity (my euphemism for H. G. Frankfurt's third form of communication) to offer explanations of what Abe and Suga were up to -- which news media dutifully published despite none of it making a jot of sense. a) Is the policy mix now going to be too rich, i.e., are we going to have inflation well in excess of the Bank of Japan's goals? b) What will the news media and Abe's rivals inside the Liberal Democratic Party concede is an Abe win in a December 14 House of Representatives election? c) Whatever you criticisms you may want to level at Abe and Suga, "unwilling to quickly cut their losses and move on" ain't one of them. Oh, by the way, if you are an analyst or a journalist, and you borrow any of the above, acknowledge the source, please. 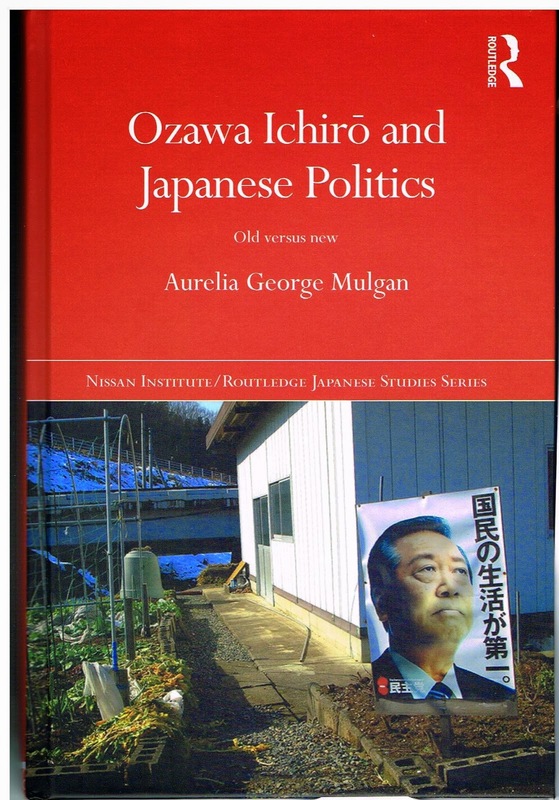 Dr. Mulgan's long-awaited political biography of the most important Japanese politician of the last 25 years (yes, more important than even the Celebrated Mr. K) quietly entered the marketplace on October 27. Yes, you should buy it. In my review, which I will post after I finish the book, I will outline some of the ways the book illuminates some of the least understood aspects of the present Abe administration. Last week's resignation of Minister of Economics, Trade and Industry Obuchi Yuko gave me an opportunity to vent some spleen about the overlarge representation the Diet and indeed throughout the elites of East and South Asia of a particular minority: persons who made an excellent choice of uteruses in which to gestate. Obuchi's portfolio includes authority over the nation's nuclear power plants and her softer image—a young mother, after all—was expected to soothe public anxiety over plans to restart the reactors. Obuchi is the daughter of former Prime Minister Keizo Obuchi, who ran Japan from July 1998 to April 2000, and had even been touted as a possible successor to Abe somewhere down the road. But the close scrutiny that comes with a Cabinet appointment exposed her as a political lightweight and a product of the LDP machine, says Michael Cucek, a researcher and author of a respected political blog in Tokyo. "She represents someone who vaulted into prominence by the death of a sitting prime minister, taking over the family business without ever knowing much about how the whole machine works," he said. 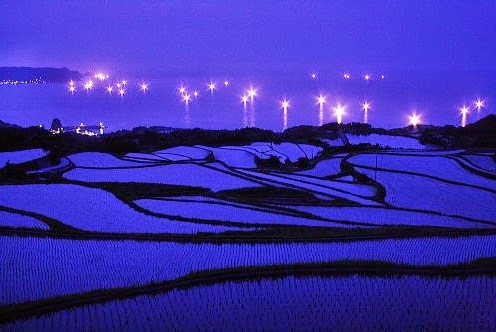 @hobson_c All right. Aside from the brief, unremarkable service as Vice Minister of Finance, Obuchi's other credentials were? @hobson_c Obuchi's appoinment to Aso Cabinet was pure electoral tokenism, as that Cabinet was created for a snap election. @hobson_c She is going under because of resentment against her selection based upon birth and gender, and a dearth of meritocratic criteria. 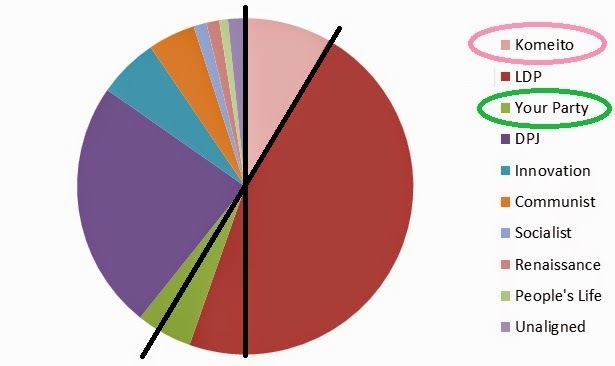 @sonicviz @hobson_c No, but life is unfair like that sometimes. @sonicviz @hobson_c After the ordeal she still has wealth, inherited status and a supportive family -- and all that was by chance too.